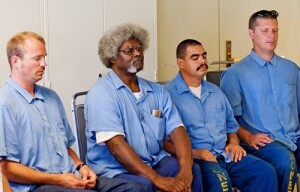 The necessity of in-prison programming and reentry support remains critical in California and nationally, as many people still do not receive the in-prison or post-release services needed for healing, empowerment, and success. The traditional punitive approach has created a revolving door of prisoners unable to successfully reintegrate into society, resulting in enormous fiscal as well as psycho-social impacts. Alternatively, IGP takes the restorative approach through connection to nature. We work using a collaborative, participatory-centered approach with all key stakeholders — from the people who live and work in prisons to our larger communities. Together, we are part of the solution.